North Carolina motor carriers are being slapped with a 14.61% surcharge on their liability insurance policies to plug a $96 million shortfall in the state’s insurance risk pool. 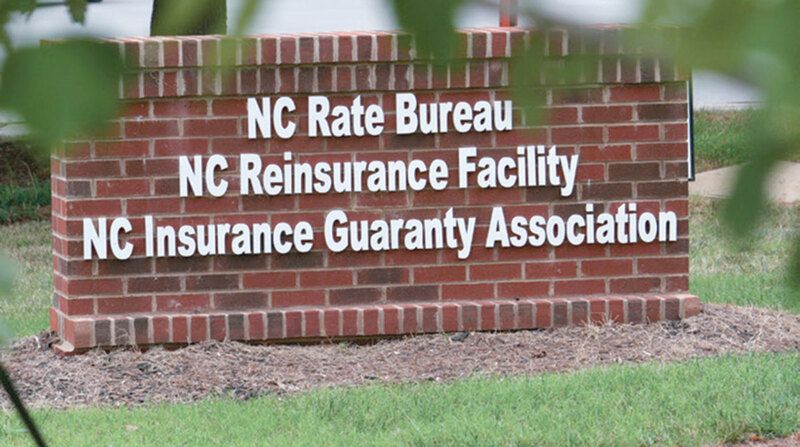 The North Carolina Reinsurance Facility said the surcharge will go into effect on Oct. 1 for all new and renewal commercial policies and continue through Sept. 30, 2019. It will be incorporated into carriers’ policy premiums to recoup the organization’s massive losses that have been building over the past four years, in part due to it charging rates too low and in some cases insuring ineligible motor carriers. The surcharge will not be applied to a motor carrier’s policy for collision or comprehensive coverage, according to officials at the North Carolina Reinsurance Facility. The last surcharge issued by the risk pool was in the mid-1980s and lasted more than three years, according to the North Carolina Trucking Association. “We have also been in contact with elected officials, including leadership within the North Carolina General Assembly, to educate elected officials on the surcharge issues and to open channels of communication in order to facilitate future change,” Crystal Collins told Transport Topics in an e-mail statement. The reinsurance facility, created by the state’s 1973 Motor Vehicle Reinsurance Facility Act, is a statewide partnership of insurers intended to establish a viable reinsurance market to ensure that the state’s high-risk commercial vehicle operators unable to obtain liability insurance elsewhere can still meet the state’s mandatory liability law. In short, it’s an entity that insures insurance companies. By law, the facility is supposed to only allow liability insurance for state-domiciled motor carriers with valid driver licenses that have been refused liability insurance from an insurance company. “You can think of us as the market of last resort,” said Terry Collins, chief operating officer of the facility. Ray Evans, general manager of the facility, said that at least since 2014 the commercial vehicle insurance business in North Carolina and nationwide has not been healthy. “Insurance companies have essentially been losing money, and we’re no different,” Evans told TT. Evans said several factors have created losses at the facility, ranging from a reduction in the price of fuel to distracted driving crashes. In the past few years, the state’s insurance premiums have been “pretty low,” he added. “What we found was that trucking companies have re-domiciled in North Carolina to take advantage of having their headquarters here, taking advantage of lower rates, which has exacerbated the situation,” Evans said. Because some companies have used “Post Office box” addresses for their headquarters, Evans said state insurance officials and legislators have been attempting to block some of those companies from taking advantage of the lower facility rates. “The reinsurance facility is doing what the statutes tell them to do,” said Rob Moseley, a Greenville, S.C.-based attorney who said he has several clients affected by the surcharge. Moseley, who has been working with the trucking association to mitigate the facility’s future problems, said that overall insurance markets are rising, but the risk pool has continued to keep its rates too low. But Terry Collins said that in recent years insurance companies have been losing money and “shedding business” because they didn’t think they could get back the rates for the risk.